بني في , Swiss-Belresort Coronet Peak هو ميزة مُضافة لـ كوينز تاون و خيار ذكي للمسافرين. لا يبعد الفندق كثيراً عن مركز المدينة، فهو يقع على بعد 7 km منها. في حين يستغرق الطريق منها إلى المطار حوالي 18 دقيقة. إن سهولة الوصول من الفندق إلى المعالم السياحية الشهيرة الكثيرة في المدينة كمثل حمامات الينابيع الساخنة في أونسن, القارب النفاث شوت اوفر, Southern Hospitality Limited هو استثنائي بحد ذاته. إن حسن الضيافة والخدمات الراقية التي تعرف بها Swiss-Belhotel International تغني تجربتك في Swiss-Belresort Coronet Peak. إن واي فاي مجاني في جميع الغرف, خدمة التنظيف يوميًا, مدفأة, مكتب الاستقبال على مدار الساعة, مرافق مخصصة لذوي الاحتياجات الخاصة هي جزء فقط من الخدمات التي تميز Swiss-Belresort Coronet Peak عن باقي الفنادق في المدينة. بالإضافة لهذا,تتضمن كل غرف الضيوف مجموعة واسعة من وسائل الراحة . بعض الغرف توفر حتى تلفزيون بشاشة مسطحة, رف للملابس, مرآة, صوفا, مناشف لإرضاء أكثر الضيوف تطلباً. يمكنك الاستمتاع بالأجواء المريحة التي تقدمها بولينج, حمام سباحة خارجي, سبا, حديقة, غرفة ألعاب طوال النهار. إن Swiss-Belresort Coronet Peak هو خيارك لخدمة الفنادق الراقية في كوينز تاون. Stayed two nights prior to a flight and found the location close enough to the airport and Queenstown to be very convenient. The hotel offered a free shuttle bus into the CBD which ran often and allowed easy access to the town. The room was fine - clean, modern, and comfortable. Although, noise from neighbouring rooms and people in the hall can be heard. Buffet breakfast met the expectation verses price. Parking was available and free. Staff were friendly and helpful. 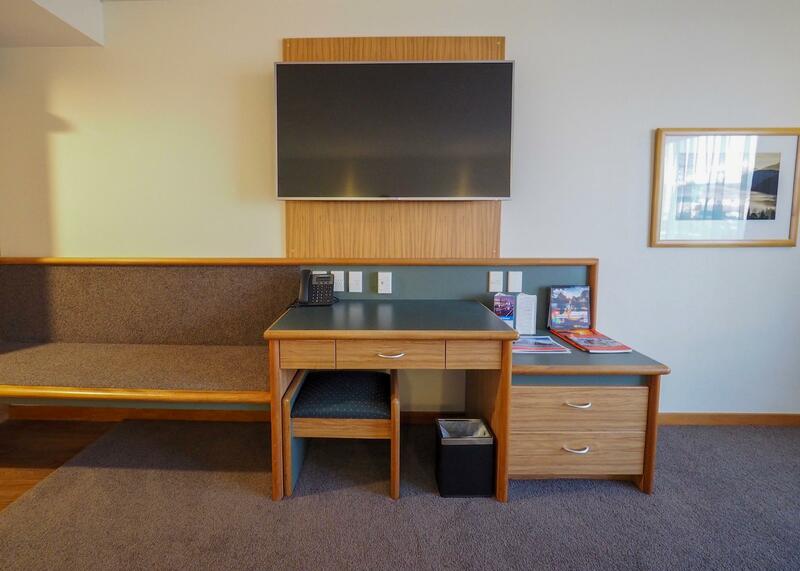 Location is 7 mins away drive from town center however the hotel provides hourly free shuttle to town center thus you can save on fuel and parking. There is an arcade(paid)and a bowling alley(paid) in the hotel along with a hot pool tub and a sauna room which was free for guests to use. My partner and a friend stayed here overnight. I indicated on my reservation that we will be arriving late and requested for an extra bed. I was trying to ring the hotel to let them know our time of arrival but no one answered the phone after ringing several times. When we arrived, I informed the receptionist about it but she only looked at me like “oh, cool” and she wasn’t very friendly so that’s a minus. Our room was warm and tidy and has got all the amenities and the bed was comfortable enough for us to have a good sleep after a long tiring day. Only thing is that you can clearly hear the noise from the other rooms so another minus. Day time receptionist was very friendly compared to the lady on the previous night. However, we might consider coming back. The second time i requested a room on the ground floor due to my large and heavy luggage. Bathroom is quite old comparing to the room on the second floor - much more new and clean. All staffs are very nice and helpful. Great service as a hotel. Good location if you have car. 15 mins drive to Coronet Peak Ski, 15 mins drive to town. They provide shuttle service as well but limited space. There's Sauna as well. Food in restaurant is good. Staff were friendly. Place is clean. Overall, good for this price. 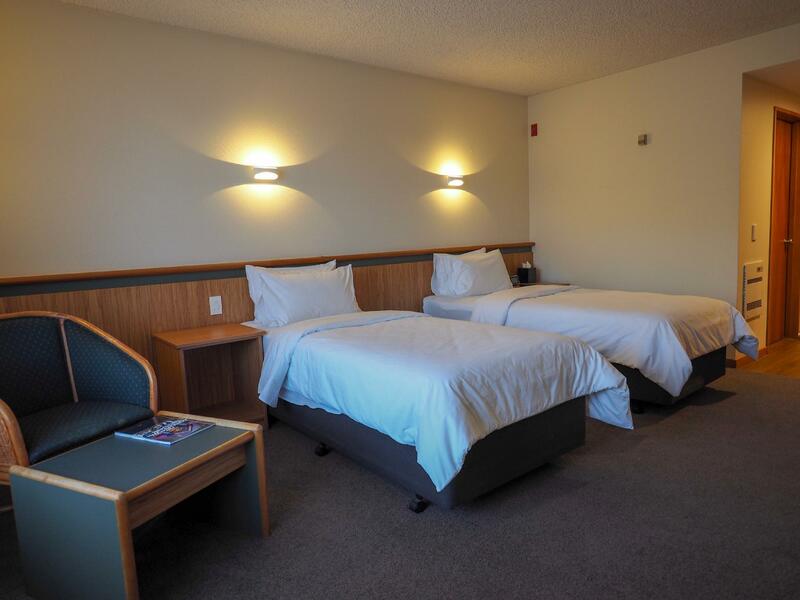 The staff were off-hand, the hotel generally was ‘grubby’ and the room itself not clean. The car park was full. It was a last minute booking and provided me with a room for the night but it was not a pleasant stay. There was a pizza/game place set into the hotel that was frequented by dodgy people. I didn’t feel safe and was concerned for my belongings. If you are into skiing, this is a great location to stay. Don't forget to try the pizza place opposite the hotel. I missed it when I was there. The front desk staff were most helpful.Our first booking was with booking.com Regrettably there was no info about the hotel shuttleOnce we had this info from front desk staff we found the distance from downtown fine. We ate in the dining room twice, once for a late dinner and then a breakfast..Both meals were fine. 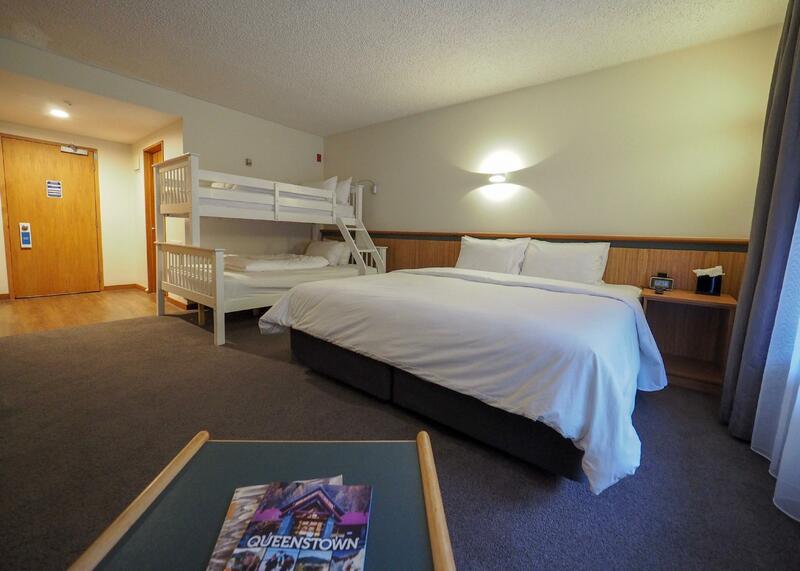 We like the spaciousness of our room and the comfortable bed. All in all a pleasant experience. The staff were extremely helpful & friendly. Our room was lovely, clean comfy bed. Lots of toiletries, hot powerful shower. A little bit out of Queenstown but shuttle bus goes from the hotel. Good value for money especially compared to other places in Queenstown. Highly recommend! 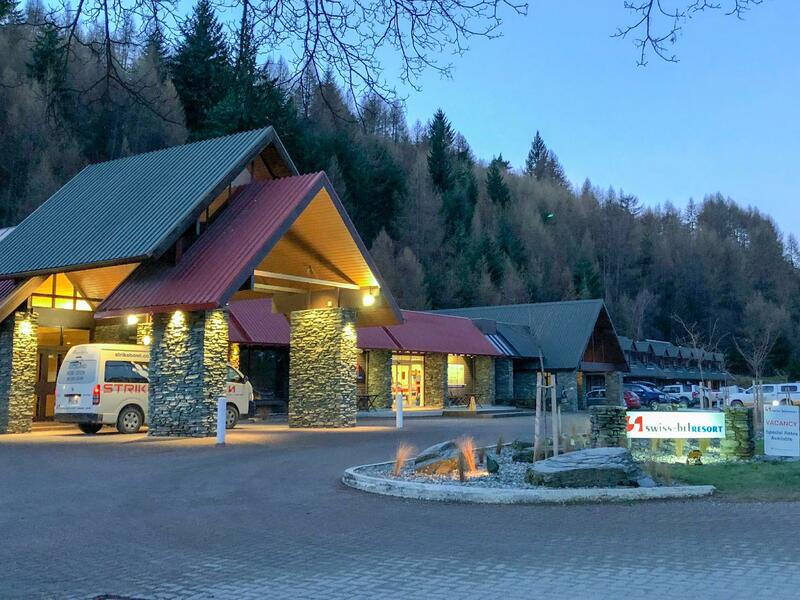 although the hotel is located 10mins from central queenstown, the free shuttle makes it easy as parking in the town is a hassle. Wifi is also great. Hotel staff is excellent. The Indian lady at the reception is the most helpful and friendly. The hotel is also just across the Onsen Spa. recommended for value for money and good pleasant service. We loved our first trip to Queenstown and we would definitely consider the hotel were we to visit again. The cost was the main factor for us and around $75 it was ok, but if it was much dearer we would consider accommodation nearer to Queenstown. It really needs some maintenance though. I could have worked there for months doing all the odd jobs it needs. Car park was pot holed and puddles. The staff were all friendly and helpful. Meals good and well presented. My son's football team were very pleased with the whole experience, all rooms booked were clean and tidy- again maintenance needed. Its location is a bit far out but it does have a bus. We had a car so wasnt an issue for us. Overall the 3 star rating is fair. From the photos, you'd think is a very nice resort. It isn't. It's a basic roadside motel. 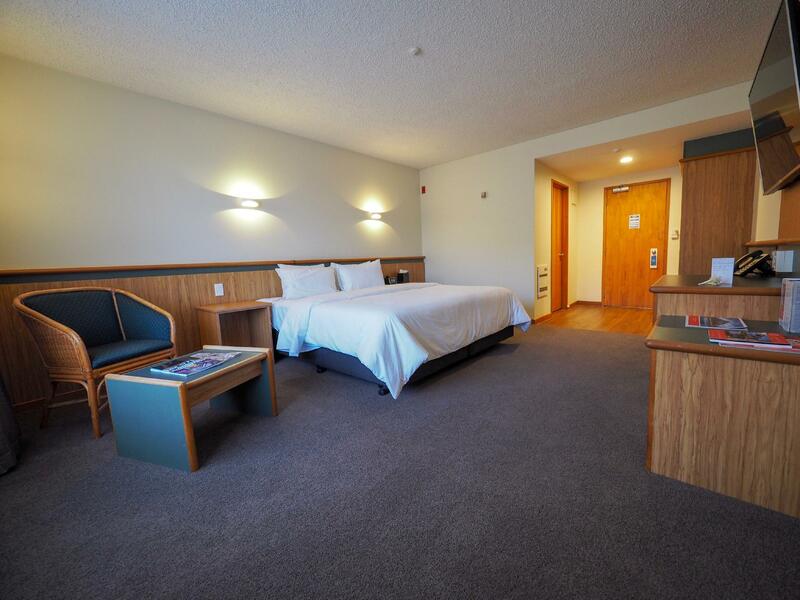 The rooms are serviceable at best. Beds are uncomfortably soft. The 10-minute drive to Queenstown doesn't sound bad, but whatever you think you'll save by not staying in Queenstown itself will be more than made up for by the high cost of parking in the city. Good room. Poor WiFi. Shuttle to town was a great option.